Is this announcement legitimate or once again blowing off the press? For the fourteenth time since January 2006, a Barbados government Minister has announced that a new Road Act should be ready “soon”. Today’s announcement comes from Minister of Transport and Works, John Boyce, who tells The Nation that the new Road Traffic Amendment Act “should soon be ready”. For the very first time we are being told that the act will have a breathalyser section. But read a little further and you’ll see that the new law will be ready for “public comment” at the end of March. How much longer it will be before it gets through Parliament, or why the law has been sitting around since 2007, we’re not told. We’re also informed by the Minister that the DLP government has “been talking about recently” a new Road Safety Umbrella organization called “National Council for Road”. Well, isn’t that nice? The Minister has been “talking” about it. No doubt there will be more meetings about holding more meetings “soon”. 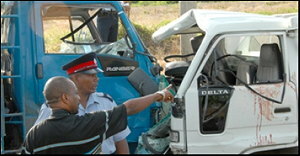 Minister Boyce’s announcement was no doubt in response to a recent series of articles at Barbados Free Press where we chided the government for not caring about road deaths due to drunk drivers, and the fact that British tourists have a 240% greater chance of being killed in a car accident in Barbados than back home. 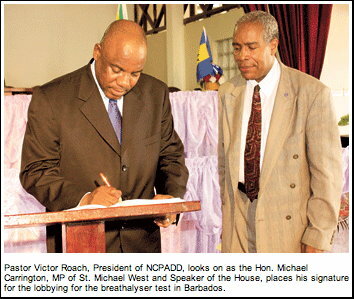 So Boyce says that Barbados will have breathalyser laws in 2011. 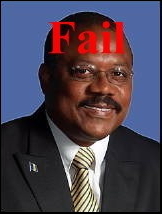 Do we believe Minister Boyce? Given the record: Not really. Click on the banner to visit the BRSA website. 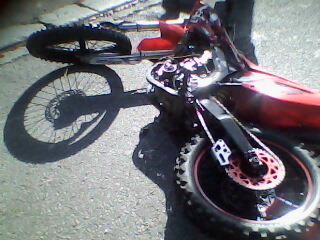 “This is a tragedy that should not have happened. How many more of our people going to lose their lives before the law enforcement exercise their duty?” … June Straughn, aunt of 17 year old Rossi Straughn – killed while riding in the open back of a truck. A few days ago Police Inspector Leon Blades, the officer in charge of Traffic Division, admitted to selectively not enforcing a part of the traffic law that just resulted in the needless death of a young man. During the same interview the Inspector called for the establishment of a “Road Safety Czar”.